We’re making good progress. You now have your account and you are ready to work on your first assignment. Well, first you need to pay the fee. You can either do that from the email sent to you when you enrolled in your course or by clicking the link to your course and clicking the first assignment. 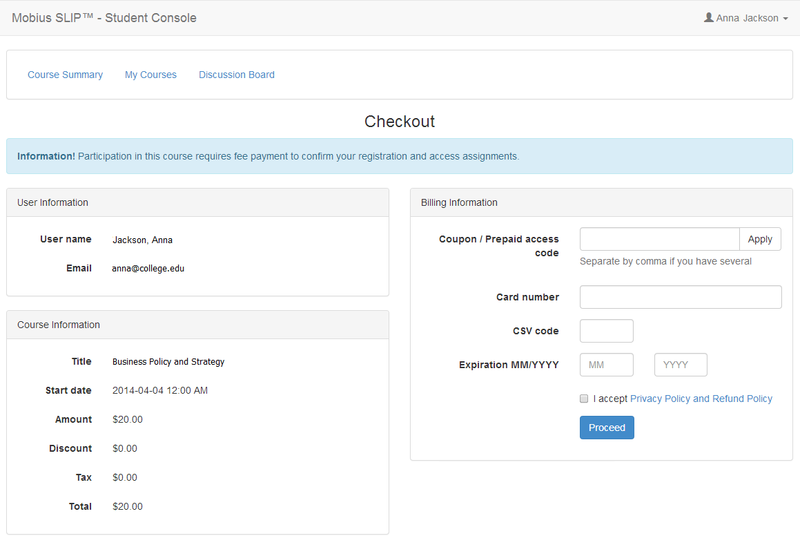 Either way, you are directed to the Payment page. 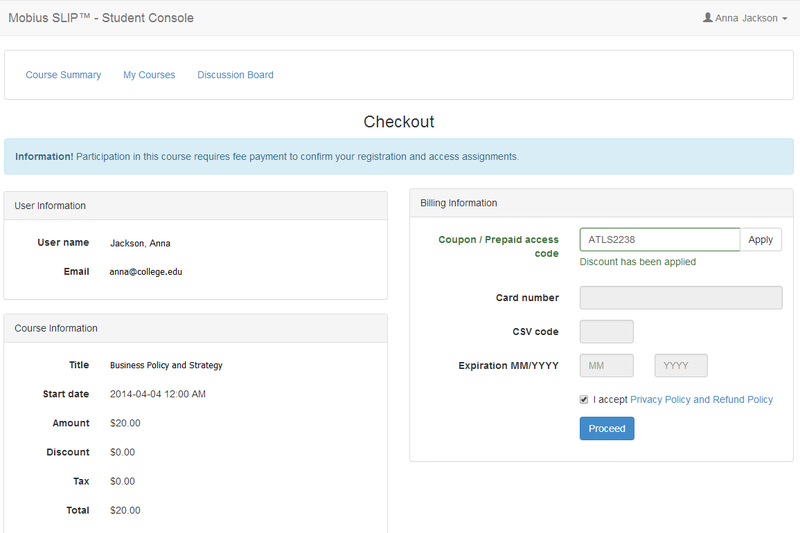 On the left side of the Payment information page is the User Information and Course Information, including the amount due. On the right is the Billing Information. Have you used Mobius SLIP before? Did you receive a Coupon Code? Cool! Go ahead and enter that code in the Coupon/Prepaid Access Code box. If you have more than one, just put a comma between them. Then click [Apply]. Your Discount amount increases to reflect the Coupon amount, and your Total decreases. Good luck on your assignments. For information on how to complete them, refer to the Navigating Mobius SLIP section.